We are manufacture SS dust bins padle type, extensively used in various places like hospitals, hotels and offices..
S.S. Paddle Dustbins are used in pharma laboratories & Clean rooms.Provided with lid & paddle for easy opening of the lid. We are offering Pedal Solid Bin to our clients. 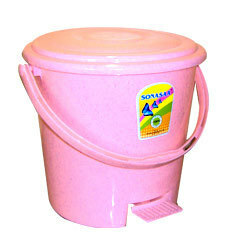 We offer wide variety of Leatherite Pedal Bin. 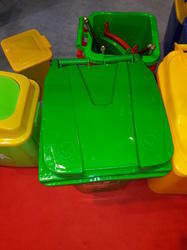 TheseTrash bins are available in 7 litre & 12 litre capacity . Being a well-distinguished company in the market, we are into offering Garbage Pedal Bin. We manufacture superior quality stainless steel Paddle Dustbin that id durable and high in functional value. By gently pushing the paddle, one can easily uncover the dustbin for disposal of waste. These types of dustbins are used in various residential as well as industrial areas and can be availed at most reasonable prices.